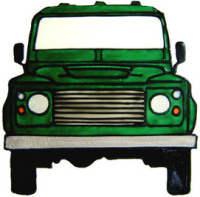 A fun set featuring an ever-popular Land Rover. Three Vehicle colours to choose from. Choose a gift bag to protect the mirror from wear & tear when in a handbag!